The Mobile Cow — as a “brand hero” which will be used in future events where Spomlek participates in like trade shows, exhibitions, outdoor events and many more. Infographic — which shows, that producing cheese is a complex process and involves a big group of people, not only the farmers and, of course, involve cows. Billboard — not a standard one. Our proposition shows what Spomlek produces mostly, but without words. 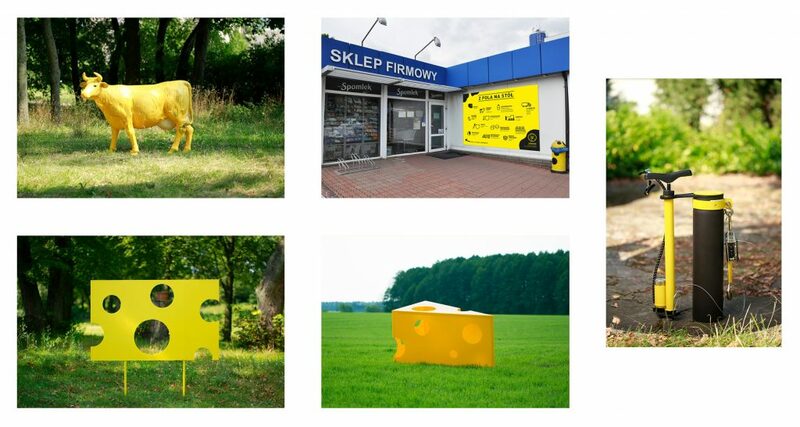 The Cheese Landmark — a sculpture, which can be a landmark for people, who want to meet somewhere. They can say “let’s meet at the cheese, and then we decide where to go”. It could be also part of playground for children. Bike Toolkit — big group of employees are going to work by bikes. This toolkit can help them fix their bikes if it has a small fault. They can inflate the wheel, tighten the bolts, etc.